Through The Lutheran Church—Missouri Synod’s Specialized Pastoral Ministry programs, more than 580 ordained pastors as well as commissioned men and women receive training to serve as institutional and emergency services chaplains, pastoral counselors and clinical pastoral educators. These professional church workers offer comprehensive service that includes Word or Word and Sacrament ministry, counseling, compassionate care and contextual education for specialized pastoral ministries. Are you suited for SPM? LCMS Specialized Pastoral Ministry invites you to explore opportunities to serve God’s people in a non-parish setting. Take an anonymous online survey and browse information to help you evaluate if God is leading you to this unique, important ministry. LCMS Disaster Response chaplains provide support and resources to congregations who are providing mercy to their members and community. Discover how to receive LCMS-recognized training and credentialing to minister to those suffering from disaster. Learn about the Specialized Pastoral Ministry and Clinical Education program and its requirements. Specialized pastoral ministers interested in receiving a call from the LCMS Board for National Mission should follow this process. The LCMS endorses its specialized pastoral ministers for field work through a process involving an endorsement application, continuing education, peer reviews and annual reports. Emergency services chaplains provide emotional and spiritual care to members of law enforcement, emergency medical services and fire services. Eligible ordained and commissioned individuals seeking ecclesiastical endorsement and certification/credentialing may apply for a scholarship. A template is provided to guide specialized pastoral ministers through contacting those in need, and the outline helps document visits for peer and/or supervisor review. 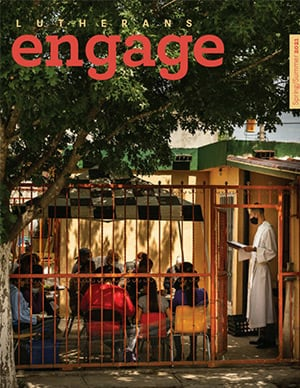 Caring Connections is an inter-Lutheran journal for practitioners and teachers of pastoral care counseling. Resources and events are available to help in ministering to those in prison. View presentations and workshops from the “Captive Souls ... Mercy for All” conference, which met Aug. 17-18, 2018, in St. Louis. Prisoner’s Reflections: Meditations for Prisoners is a collection of devotions written by Thomas Bird, a Lutheran Christian who was in prison for many years. Rev. R. James Rivett and Rev. Dr. William W. Wagner received the Christus In Mundo Award in 2016 for their significant contributions in specialized pastoral ministry. The Zion XVI Conference focused on the importance of chaplaincy, pastoral counseling and clinical pastoral education in the Lutheran church. Rev. Dr. Philip Kuehnert and Rev. Lee Joesten made presentations at a “Pastoral Care in Pluralistic Contexts” conference, and Rev. Russell Helbig led Bible Study. Specialized Pastoral Ministry trains and endorses LCMS ministers to serve people who are ill, imprisoned, aging, troubled, conflicted and isolated. 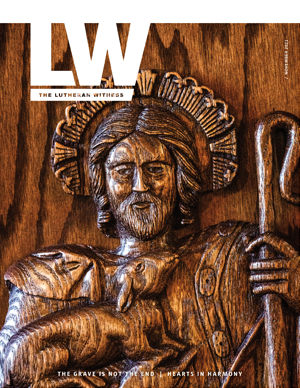 A Pastoral Touch provides opportunities for service, important announcements and a quarterly pastoral letter from the LCMS Office of Specialized Pastoral Ministry. Sign up to receive A Pastoral Touch and other newsletters in your myLCMS profile. Your gift for Specialized Pastoral Ministry supplies materials and focused resources to LCMS ordained and commissioned workers serving as chaplains, counselors and educators in places like hospitals, prisons, retirement homes and long-term care centers for the elderly and disabled. Gifts also support the recruitment, certification (endorsement) and training scholarships for potential SPM clergy. To make a credit card gift over the phone, you can call the LCMS toll-free gift line between 8 a.m. and 4:10 p.m. Central time. Contact LCMS Mission Advancement if you have questions or want to discuss the impact you can have on the LCMS Specialized Pastoral Ministry through your Christian giving.